"Noaceforme" was the biggest winner online on Jan.3 after winning the Sunday Million for $169,260.23. Roberto Romanello finishes second in the PokerStars Sunday 500 for more than $40,000. January 3, 2016 was the first Sunday of the New Year and what a day it was in the online poker world with dozens of players starting 2016 off in style. The biggest score of the night went to Sweden’s "Noaceforme," who was the last player standing in the PokerStars Sunday Million. A total of 6,479 players entered, creating a $1,349,000 prize pool, but it was Noaceforme who outlasted them all. Originally, first place paid $205,308.36, however, the final four players struck a deal that flattened the payout structure. Noaceforme scooped $169,260.23 while runner-up "Saitek00" collected $135,099.52, Germany’s "Sheeeeep" walked away with $117,231.37, and "Bababooyboff" of Canada $117,792.34. 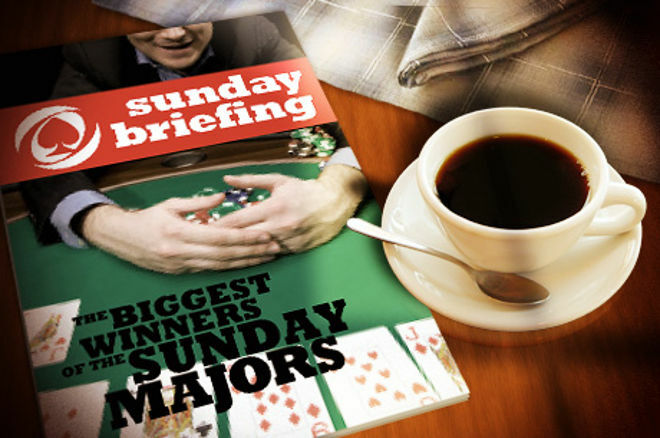 Nick “gbmantis” Niergarth is a past Sunday Million winner, but his victory in this weekend’s Sunday Majors came in the Sunday Kickoff. Niergarth topped a field of 1,892 in the $109 buy-in event to add $30,272.00 to his bankroll. Also in the winner’s circle at PokerStars this Sunday was Malta’s "69sBigLick," who defeated Ukraine’s "VGurina" heads up in the Sunday Warm-Up to secure an $80,422.00 payday. VGurina would surely have preferred a win, but the $60,062.00 consolation prize no doubt softened the blow. Joshua “slayerv1fan” Hoesel, who won the Bigger $109 for $33,000.00 after a heads-up chop with Norway’s "alboss82." Turkey’s Ozgur “PhapLap” Arda, who won the Sunday Supersonic for $45,619.98 after only two hours of play! Over at partypoker, it was Romania’s "flo_rinescu” who emerged victorious in the $150,000 Guaranteed Main Event, collecting $29,828.75 for their efforts. The familiar name of Kevin “THEDREAMER77” Killeen topped the leaderboard in the $150,000 Guaranteed High Roller, a result that netted the popular Irishman $27,780.00. while the Sunday Major also produced a star-studded finale. "groengras" of the Netherlands and "no not baxter" chopped when heads-up for scores of $11,565.55 and $10,465.42, with such luminaries as Jimmy “argos94” Molloy, Martins Adeniya, "quantum leaper1," and Doug “dlanger610” Lang all making a final table appearance. The world’s second-largest online poker site, 888poker, produced some sizable scores this Sunday, too. The UK’s "youler" banked $33,344.88 after taking down the $150,000 WHALE, defeating Carter “thatguzzler” Swindler one-on-one, the latter receiving $24,987.12. A similar score to Swindler’s was enjoyed by "olnkoinkoink" after he won the $120,000 Mega Deep for $26,570.80, while Germany’s "weltmaschine" secured a $19,103.46 payout by winning the $100,000 Sunday Rebuy.